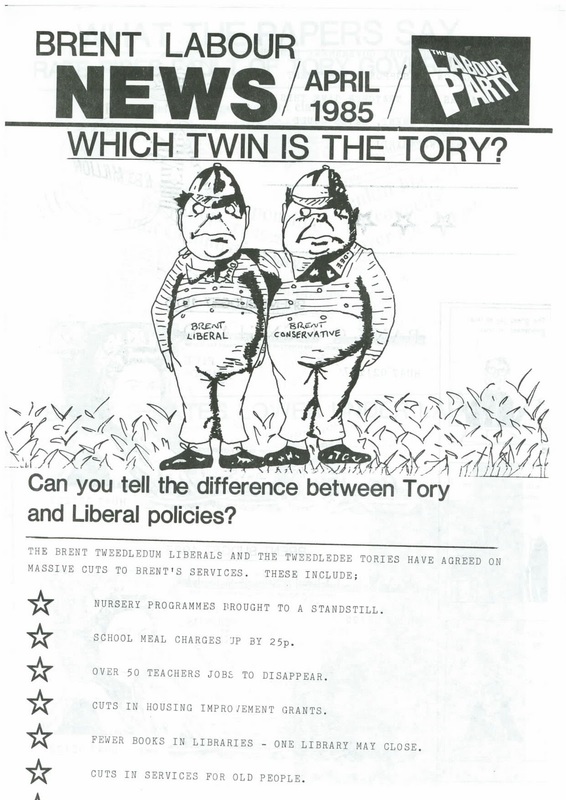 Great poster from April 1985 (before I was even born!). Fast forward twenty five years and we face the same situation, not only in Brent but across the country on a national scale. Posted on December 12, 2010 December 9, 2010 by Cllr Krupesh HiraniPosted in Brent, Con Dem NationTagged Brent Conservatives, Brent Labour, Brent Liberal Democrats, ConDemNation, cuts.